The cycle of life continues and Ravnica Allegiance has arrived. 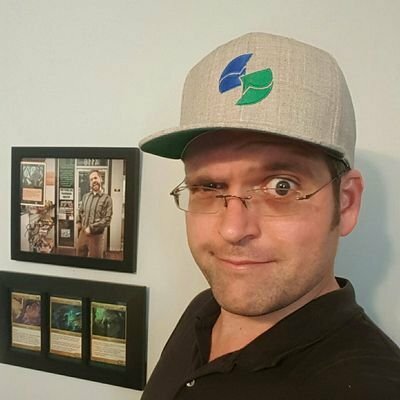 That means it’s time for another bout of hot takes on my favorite EDH goodies from Ravnica Allegiance, in time for the prerelease so we can put ideas on your radar to make good on some wheeling-n-dealing. Let’s begin. Orzhov brings us an old mechanic with a new keyword called Afterlife. Much like the Doomed Traveler’s of the original Innistrad block, creatures with Afterlife X produce X 1/1 flying black/white spirits when they go to the graveyard. 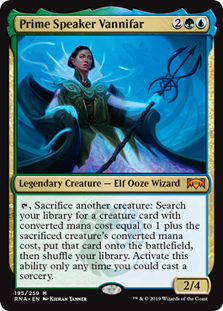 This is particularly interesting for me as it technically brings us a second installment of an old mechanic making it far more viable as a build around strategy for EDH. This also breathes new life into an oddball card like Lifeline which will bring steady incremental board state advantage to Afterlife decks that run it. Kudos on new depth of strategy Wotc. 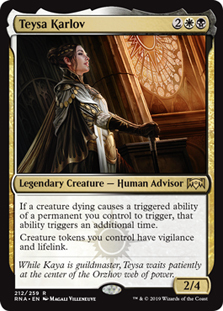 Teysa Karlov: This card adds obvious support to the future Afterlife decks by doubling death triggers and giving all your token creatures Vigilance and Lifelink. This is also a fine bump for cards like Phantom General and Intangible Virtue, Hangarback Walker, Symbiotic Wurm, Wurmcoil Engine and Chasm Skulker so be sure to keep three color strategies in mind when brainstorming a Teysa brew. Kaya, Orzhov Usurper: This effectively turns cards like Rest in Peace and Relic of Progenitus into fuel for an aethereal fireball to the face. I also see Kaya, Orzhov Usurper providing a boost to Anafenza, the Foremost decks. While Anafenza, the Foremost is only putting creatures into the exile zone from play, this latest version of Kaya forces some very careful consideration for removal. Having access to green also puts Doubling Season on the menu for some out of nowhere win potential. Oh yeah, Ulamog, the Ceaseless Hunger also says hello. Smothering Tithe: This card is absolutely going to do work in EDH. It kind of feels like a fixed version of Burgeoning in that it is much more fair that you have to wait a few turns to get it into play, but you’re not screwed if you have no lands in your hand. It definitely puts heavy draw decks in an awkward position if they allow someone to go full ham with this card. Another thing to consider is this mana ramp is resource rich with card types of Token and Artifact. Both of these matter very much for cards with Metalcraft / Affinity or alternate win condition cards like Mechanized Production. This card is a beast. The Addendum mechanic is interesting in its ability to give instants more punch if played in the main phase, but it doesn’t feel like what control wants to do. I suppose its best home would be in a Stax style pillow fort build that’s already denying opponents interaction outside of their turn, but the jury is still out for me on this ability. How ever I do see a theme of Sphinx’s Revelation being adopted as modus operandi for the Azorious guild in this set. 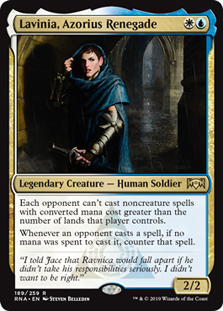 Lavinia, Azorius Renegade: As commanders go, I like this one for its casting cost and the second ability. All you need to play this on turn one is a Lotus Petal and one plains or island and the rest of the table has to cast their spells on curve with their land drops. It slows down signets and other mana rocks that like to get cheated in with a turn one sol ring. It messes up mana dork strategies like Selvala, heart of the Wilds. It forces people to play fair magic. Good one to pick up. Dovin’s Acuity: I consider this the best example of Azorius adopting the Sphinx’s Revelation as a broader guild strategy. Gaining life and card draw off a single instant is always going to be more powerful in standard constructed, but repeatable effects will often go much further in EDH. Dovin’s Acuity gives us that repeatability which can matter in a multiplayer format like EDH. Just think of recasting Dovin’s Acuity as gaining an extra turn worth of resources. Verity Circle: As if it wasn’t bad enough Rhystic Study and Mystic Remora already run amok on any table they resolve, we now have Verity Circle adding to pile of trigger checking strategies grinding out value. Granted the limitation of its ability to creatures tapping outside of an attack makes it less potent. Still, I have seen enough games of EDH with opponents playing cards like Llanowar Elves to know Verity Circle will still do work. There are also fun shenanigans to be had with cards like Aether Shockwave, Angel’s Trumpet and Torrent Elemental. Do not underestimate this card. Spectacle is a perfect Rakdos mechanic. Red and black certainly don’t have trouble dealing damage to opponents, especially in EDH. Old school Spectacle enablers that come to mind are cards like Pestilence, Lobber Crew, Goblin Fireslinger and Festering Evil. I will be interested to see what kind of applications will be found for Spectacle in the Rakdos, Lord of Riots decks. Theater of Horrors: This card feels like a lesser Karn, Scion of Urza in that it creates a second hand of resources in the exile zone to be used later in the game if needed. 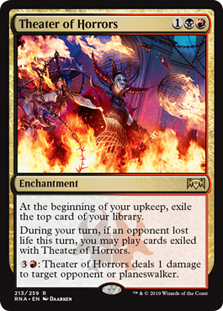 I understand that it is not nearly as good as baby Karn since the exiled cards are not accessible if Theater of Horrors is destroyed, but odds are low that Rakdos EDH decks will be waiting very long to access those cards in the first place. This is why I feel this card is very powerful for the colors that it’s in. Frankly, any red card that creates any card draw advantage should always be considered when brewing. The best part is this enchantment is able to activate itself and even functions as a mana sink for infinite mana loops to close out the game. Judith, the Scourge Diva: Whether this card is going to be your commander or a lieutenant in an aristocrat strategy, Judith is a major power house for reanimator aggro builds. I think she will find a home in Alesha, Who Smiles at Death builds for sure. I also think there are fun shenanigans to be had with cards like Gutterbones, Bloodsoaked Champion and especially Gravecrawler if you happen to have a second zombie in play with a Phyrexian Altar. Spawn of Mayhem: This card is everything Juzam Djinn wished it could have been. A 4/4 flyer with Trample for 4 CMC is already a fantastic beater on the vanilla scale. Then it activates Spectacle AND has its own discounted Spectacle cost. I am very happy with the design of this card. It fits in well next to the Exquisite Blood / Sanguine Bond combo. I’m looking forward to seeing this parked next to Sulfuric Vortex and Copper Tablet, too. Riot's what greater minds think Tribute should have been back in Born of the Gods, and I agree. It allows you to be aggressive early or put up value beaters in the late game. The fact that you get to make the call at the time the creature enters the battlefield for the retail cost of the creature is pretty sweet. I’m not sure how big of an impact Riot creature’s will have on EDH, but it’s a cool mechanic all the same. 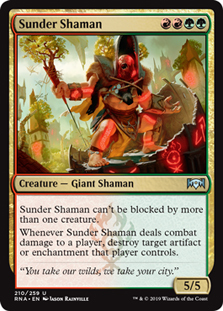 Sunder Shaman: Gruul put up some hearty uncommon cards this set and Sunder Shaman is high on that list. A 5/5 for 4 CMC in colors adept at fixing for the “double-mint” card cycle makes for a decent heavy, but Sunder Shaman blends brains and brawn with two very useful lines of text. First it can only be blocked by one creature so as soon as you equip the shaman with Glaive of the Guildpact, Chitinous Cloak or Captain’s Hook you’re beating face for 5+ every turn. Then once Sunder Shaman is connecting with your opponents face it start smashing artifacts and enchantments. I think this card is going to find a home in EDH. Cindervines: Now it’s no Aura Shards but I still like where this card is going. There are plenty of noncreature spells getting thrown around in EDH, so this is certain to do a good amount of damage if left unchecked. The casting cost is very good for what it does and the fact that you can sacrifice it to destroy an artifact or enchantment is great utility. I’d even dare say it does its job better than Aura of Silence, not that I’d bench either one in a Naya brew. Rhythm of the Wild: Yet another uncommon card I see having real potential in EDH. Any time you give Gruul EDH decks the chance to deny control players the opportunity to counter you creature spells I feel all warm and fuzzy inside. That you get to give all your non-riot creatures the Riot mechanic is kind of busted too. Think Xenagos, God of Revels as your commander with a deck full of cards like Ulamog, the Ceaseless Hunger and Kozilek, Butcher of Truth. Sadly I think Simic got the short end of the stick on mechanics this time around, at least for standard. In EDH I think it stands to do better especially since you can adapt endlessly if you have ways to remove +1/+1 counters. Still it does feel clunky. I’m happy to be wrong of course. 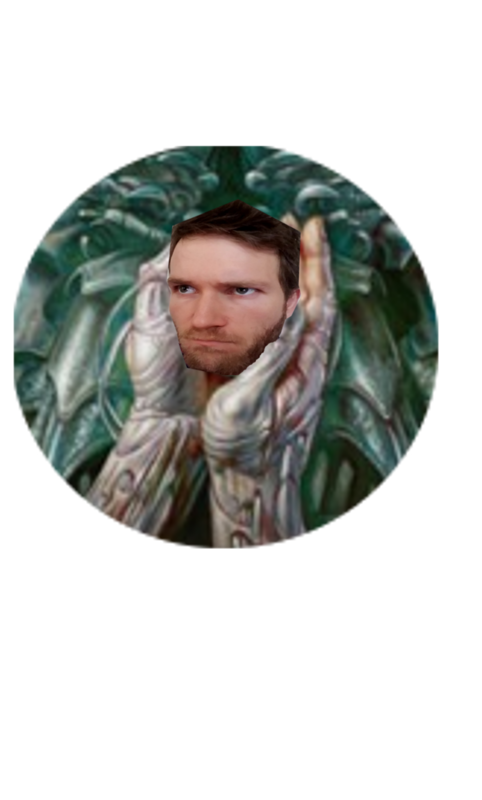 Prime Speaker Vannifar: The only thing better than playing Birthing Pod in EDH is putting that same ability on your commander. Yes, yes. Summoning sickness. Dies to removal. Those draw backs don’t bother me in EDH. Putting this ability on a Commander is pretty busted. The fact that the activation only requires that you tap Vannifar is worth noting as well. For me the dream combo would be Vannifar in a token build equipped with Lightning Greaves and Intruder Alarm in play. Then scale into Craterhoof Behemoth and GG. To be honest this is probably be a great starting point for newer EDH players looking for a straight forward combo deck. Simic Ascendancy: In the world of alternate win conditions I think this one is actually pretty solid. There are plenty of creatures like Slippery Bogle available to Simic builds and the activated ability of Simic Ascendancy is a bit of a better value for the cost over something like Helix Pinnacle, though the Pinnacle does have shroud. Even so Simic colors give us access to mana loops like Axebane Guardian enchanted with Freed from the Real plus any other creature with defender to dump infinite mana into either of these enchantments so I say just run them both. Incubation Druid: What I love about this card is how much it reminds me of Bloom Tender. It may be even better than Bloom Tender. For instance, nice as the Adapt 3 ability is, there are plenty of ways to get counters added onto Incubation Druid for a much lower mana cost. Like Ashnod’s Transmogrant costing 1 mana to cast and is basically a sorcery speed +1/+1 counter. You can also lean on value Graft cards like Plaxcaster Frogling, Llanowar Reborn and Aquastrand Spider to be ready and waiting for you Incubation Druid to hit the field. And there are plenty more ways to accomplish this task in EDH as well. The flavor is up to you. So there it is my friends. My personal favorite Ravnica Allegiance picks to be on the lookout for in the next few weeks. I hope these insights were helpful for you and until next time, may your top decks be epic. Lord Tupperware provides his initial thoughts on Ravnica Allegiance Limited, ranking the guilds and providing tips on what to run out an what to avoid.